Ride Report: float, marbles and fins? Well, first things first, I’ve gotta say that this self design custom surfboard process is amazing. The precision of the design through to machine cut is brilliant and with that the end result is what I have envisaged … and for $330 for effectively a ‘custom’ quality short board, the economics add to the stoke. Do you get the impression I’m enjoying this process? Having had a few boards made with a ‘lite’ blank, and now back to a ‘standard’, I have also realised how the pro’s can ride boards with a bit less volume; aside from their superior fitness and paddling … Since most of them ride ‘comp lite’ blanks, which would have even more air “locked in”, the float difference to the average surfers board would be noticeable. The density though, does impact the longevity of the board, as I’ve found over the last few, with this latest one holding up a LOT better. I set the board up with my usual ‘go to’ fins … FCS K2.1’s in PC. The first few surfs were in OK, but not great waves, and it felt like there was something “off” with the board. I could paddle into waves easily, it would get up and go, but making turns off the bottom and top felt like something was missing, which I was putting down to the waves, and in some part, due to wearing a steamer since it’s cooled down a bit … after getting some awesome waves, and still having the same feeling of having to surf more off the front foot through bottom turns, and then loosing the tail off the top too easily, I decided the issue was that I need some more size in the fins. So, I put in some Parko fins from the Kinetic Racing series; these are quite different in size, rake and even design to the K2.1’s … well, first wave, first surf and whoah … bang, off the bottom, vertical to the lip, whack and I was away … totally different feel having that bit more ‘fin area’ and push from the tail. So, the marbles … right? … Do you want to know about the marbles? It was not until I was heading in one day, dropped to my belly and rode the whitewater to the shore, then I noticed it … the board would easily, like really easily turn from left to right in a rocking motion, like really really noticeable … so, I went back out and caught a few waves and rode the whitewater in until I could understand the feeling and differences depending on where my body weight was … I’d lie further back, then further forward, arm by my side, or out like I was trying to fly … yep, I’m really just a big kid! So, out the back again, to test the feeling when I stand up … yep, with some weight over the front foot, and a bit of a heel toe movement I could feel this same effect … more, testing with weight to the back foot, and yep, same type of effect, albeit a different feeling through the tail. This then got me thinking about the fin area, and issues with the surfing I’d been doing to that point. Overnight I decided I needed to try some bigger fins, and well, as I wrote above, it really changed the board. Now, I’m off to learn more about it … time for a surf! with you re the fins and how a board can be unreal or a dog depending on the fins or fin placement, next board try a adjustable fin system such as 4way… adjustable cant and toe in ,also with about half inch forward back adjustability………recently at nias 6-10ft swell direction a little wrong…almost unmakable from the peak, very fast ……straightened the toe in by 1/4 inch …instant down the line speed, so for approx. $80 more for your next shape, try some different plugs, well worth the extra expense. Nias hey? … lucky bugger! also changed fins next surf to a set with a tiny bit more rake…….millimetres difference, again different feeling with down the line drive……I guess its like driving a high performance car on good quality tyres or on bobjane cheap all rounders. Most of my surfing is in beach break conditions, so needing a fairly responsive less “down the line” set up. 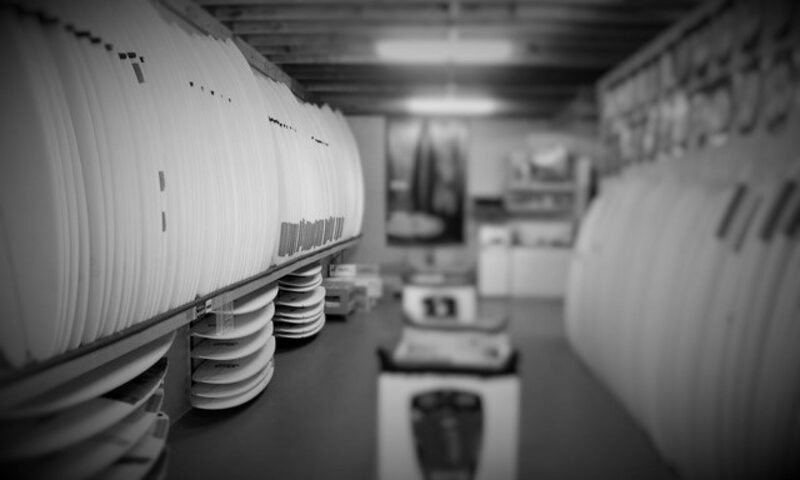 One board, many options … the simple benefit of a removable fin system! wingnut, I’m using the 4s system & love it. I’ve played with different cant. found 4 degree perfect for quad and will use 6 degree when I use thruster in bigger surf with garcia fins. playing with toe in is a pain and still have not got it right. Next PostNext Fins = confidence to design?